A noisy New Moon in Aquarius on January 30 creates the biggest splash this week with ripples moving out in both directions. The Aquarius Sun perfects its exciting sextile to Uranus in Aries the day before and Jupiter in Cancer perfects its opposition to Pluto in Capricorn the day after along with an Aquarius Sun inconjunct to Jupiter in Cancer. In a sense this pits the progressive forces against the traditionalists though my Libra side says this is far too simplistic . . . so much depends on your interpretation of progressive and tradition after all. As Venus in Capricorn slows to station direct on January 31, she will offer opportunities to take one last look back. Mikey Lutin describes this effect best in his brief weekly review. Enjoy the nostalgic moment but keeps your feet moving forward. For those who have been wrapped up in romantic obsessions, this is a good time to start pulling those out by the roots before Pluto in Capricorn intervenes. This is a possibility because Venus will be within a degree of Pluto when she stations. It is officially time to move on. In addition to the Venus station on January 31, Mercury is leaving airy Aquarius for watery Pisces and starting to slow for its station retrograde on February 6. It might be a good idea to tune into the compassionate, caring side of Pisces rather than the loopy escape artist. For all its brilliance sometimes Mercury in Aquarius can fail to take into account the human factor and Pisces excels in that regard. So listen to your better angels when reviewing your plans for the months ahead. The best way to prepare for a fresh start on the New Moon is to carefully review what is going on in our lives and toss out what hasn’t worked. It is much easier to cook in a clean kitchen than a messy one. So get some serious house cleaning done this week! Conversations with your friends and associates may produce some amazing ideas, Aries, getting you all excited and anxious to take off running with those. However you may run into resistance from your elders later. It wouldn’t hurt to listen carefully to their feedback. Taking the next step on your career path may be on your mind this week, Taurus, and naturally you want it to be the best possible choice. Don’t be afraid to ask your close friends or your teachers questions. They have your best interests at heart. You are a natural at networking with like-minded people, your peers, etc, Gemini, and this a great time to work on expanding those connections. By the way, if you are a writer, now is a good time to talk to publishers or self-publish your work. Some of the ideas being tossed around at work may sound brilliant to you at first, Cancer, though after consideration those may too far out there for you. Have faith that you know what is best for you, no matter what others say. If you are single and looking, Leo, you might meet someone very, very special this week that may challenge and excite you. Your sense of self is usually strong enough you enjoy having a partner who is smart, independent and utterly unique. This is an excellent week for you to give your health and fitness regime a thorough going over, Virgo. Scrutinize your work habits and daily routines, both at home and on the job with an eye to finding more down time and ways to reduce stress. Collaborating with a partner on a big creative project is right up your alley, Libra, so be sure to say “yes” if something like this comes your way now. Hold off starting the actual work until next week if you can and relax over the weekend. Doing some home improvement projects may be on your agenda now, Scorpio, and this is a good week to take a look around to decide what you’d like to do. Think in terms of making your home a healthier place to be. Clear your mental decks going into the New Moon, Sagittarius, in order to make room for new and exciting ideas to pop in. Taking a risk or two with really cutting edge concepts could work out very well. Embrace your inner child! I know you are most comfortable with taking a traditional approach when it comes to money, Capricorn, but it won’t hurt to listen to what a younger family member has to offer. You might be pleasantly surprised as well as making them feel appreciated. 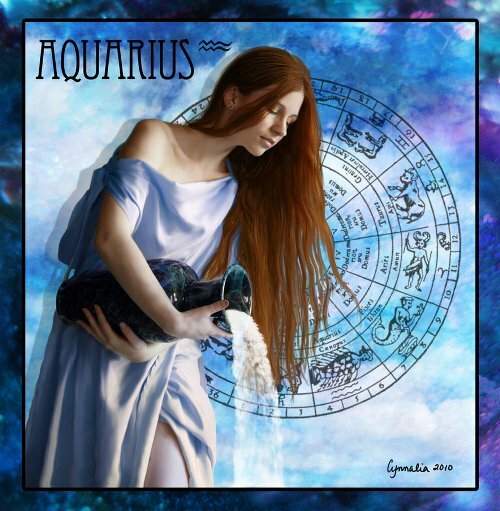 Yes, Aquarius, you are one smart cookie and late this week you might have a chance to share some of your best ideas yet. The catch may be selling those ideas to a rather conservative audience. Working with a professional consultant might help. If you don’t already have the habit of recording your dreams, Pisces, now would be a good time to start. Your dream world can be a source of inspiration not only for you but for many other people as well, so get to it!